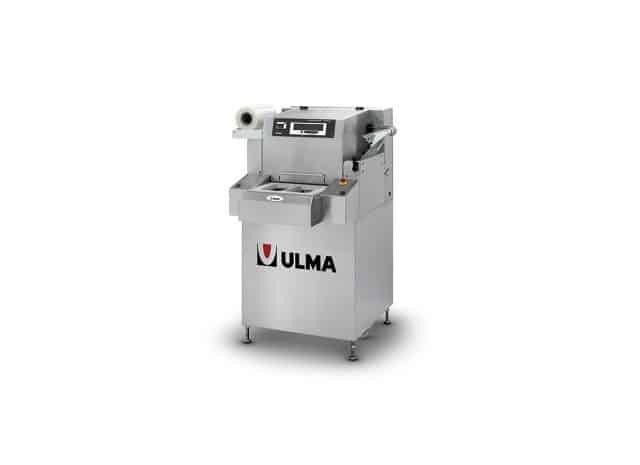 Semiautomatic traysealing machines for all kind of preformed trays. Can make modified atmosphere (MAP) and vacuum packing. Manual tray transport system with basic performance level. A machine for heat sealing various food products in modified atmosphere (MAP). 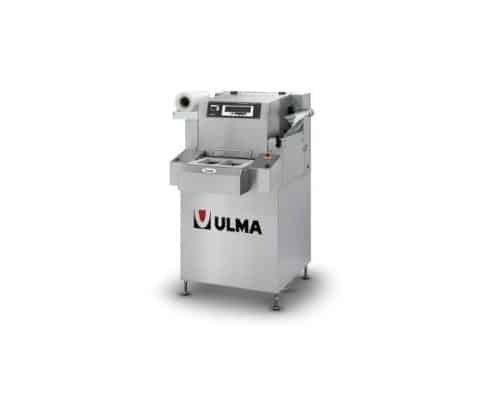 The model SMART 400 or 500 is capable of sealing a wide range of trays and film, to conform to the requirements of the product.The process starts by placing trays with the product in them into the cavities of the machine. Insertion and closure of the tray cavities. Gas flush if required (optional). Sealing of the film to the tray. Form cutting of the film. Trays return to starting position. Film advances for next cycle. During the return of the cavities to the starting position the trays are lifted to facilitate the removal and reloading of the cavities. Should more than one cavity size be needed, changing operations are fast and do not require the use of tools. A tray’s height is changed in one minute and a complete cavity change is carried out in less than 5 minutes. The SMART conforms to International “CE” safety codes and conforms to ISO 9001 quality standards. Safety covers are provided to limit access to the cutting and sealing area during the cycle. The covers are equipped with safety switches. The two hand start requires the operator to hold the 2 start buttons one with each hand until the cavity draw is in place and the packaging cycle starts. The control circuits operate on 24 volts. Programmable logic control system SIEMENS. LCD parameter and status display. Conforms to International “CE” safety codes, and ISO 9001 quality standards. Programmable for data up to 20 set-ups. Quick format change without the use of hand tools. Adjustable time control for tray ejection. Access to all machine components by removable covers. Electrical compliance to IP 65 for ease of sanitation. Vacuum system with digital vacuum control. Maximum tray height 120 mm / 4.7″. Vacuum pumps: 63 or 100 m3/h (internally mounted). Accessories for ease of chamber size change. Speed controls for handling liquids and sauces.